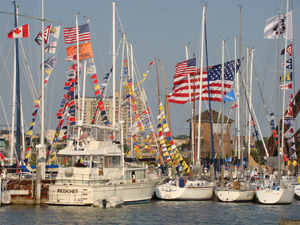 Desmond Marine is located just inside the mouth of the Black River in beautiful downtown Port Huron. We welcome you to our facility and assure you our goal is to be a premier provider of convenient and friendly service to the area’s boating community. For your convenience we have a high speed diesel pump. We use Mobil fuel and products, including 89 octane gasoline and now proudly supply 90 octane Ethanol FREE fuel and lubrication products.